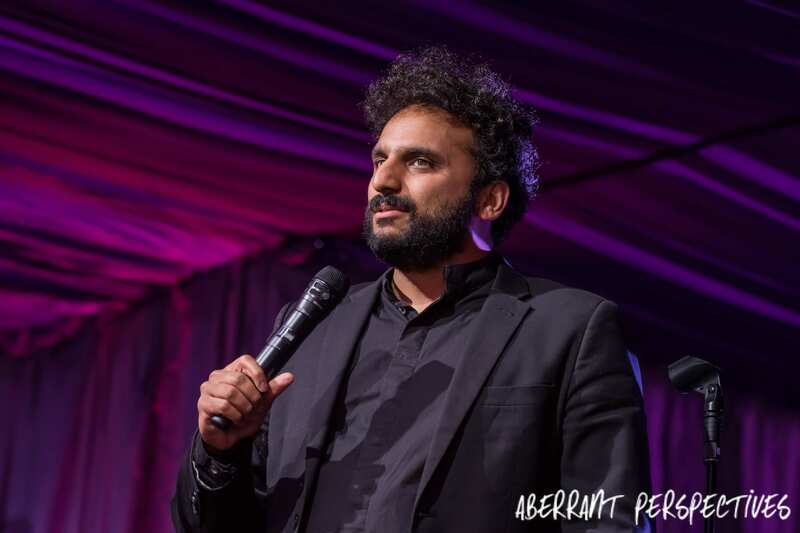 Nish Kumar took to the comedy stage at Latitude festival. He performed to what can only be described as his ideal audience. 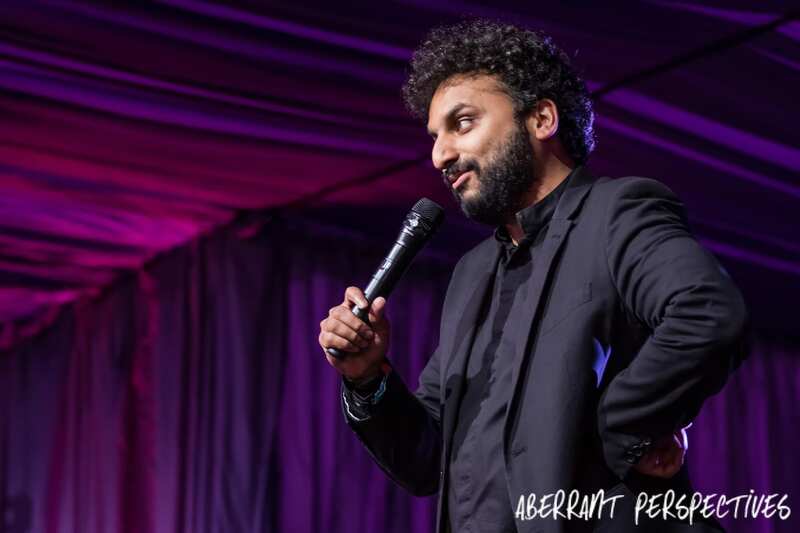 Nish is a clever type of comedian, engaging, warm and notably edgy. 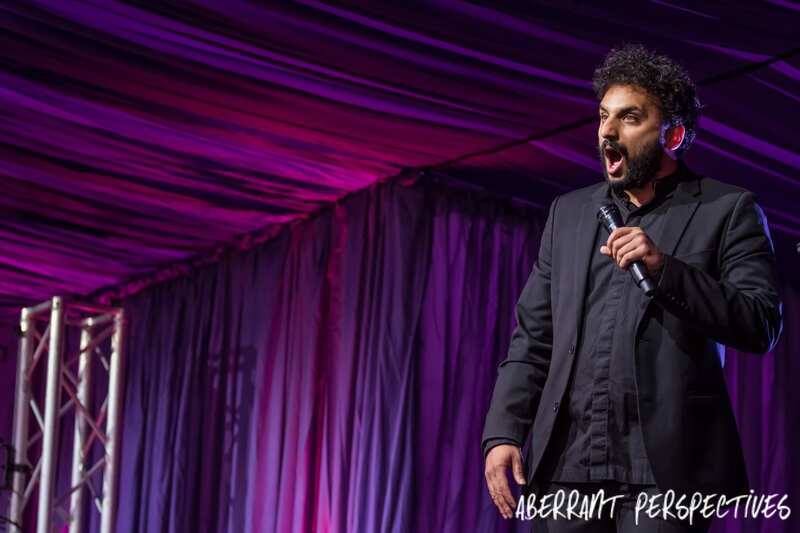 The type of comedian you can instantly become focussed on. You’ll find yourself agreeing with all that he has to say about the world and it’s faults. Opening his set Nish talked about politics, a risky subject for a festival crowd, but not Latitude. He ranted about his thoughts on the idiocy of UKIP. The tale of the amusement he found in knowing that 2% of UKIP members voted to stay in the EU, had the audience in stitches. 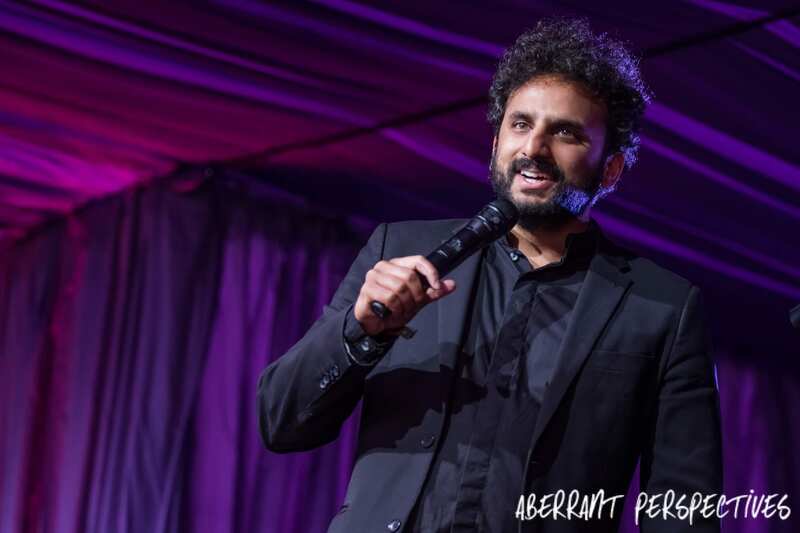 Nish’s cleverly constructed stories made it easy for the audience to engage with him. The cheers and laughter confirmed they found it easy to connect with Nish and there were plenty of “that’s so true” moments to be enjoyed. 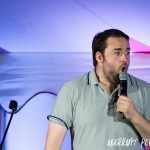 He referenced various different towns that parts of his routine has failed in, adding to the amusement of the Latitude crowd. Getting older is a sore point for Nish. He admitted that he is defeatedly accepting the age induced changes to his body and outlook on life. Embracing each change with a tired sigh, a shrug of his shoulders and a mild frustration. Much to the packed out audience’s delight. He went down a storm leaving the stage to well deserved whoops and cheers. 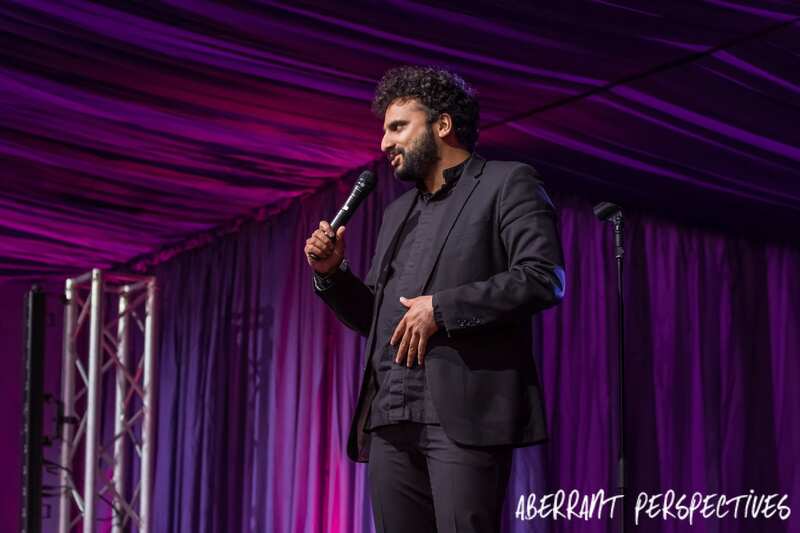 Speaking backstage Nish talked about two new shows he’s in, one of which is Taskmaster. “It’s just finished filming, it’s such an amazing show and the other comedians are fantastic, I can’t wait for it to air in September”. Taskmaster, a Dave TV show, is hosted by Greg Davies and created by Alex Horne, who also sets the curious tasks to ‘please’ Greg, in order to win points. The last series’ line up included Mel Geidroyc, Joe Lycett, Lolly Adefope, Hugh Dennis and Noel Fielding, who went on to win the whole series. 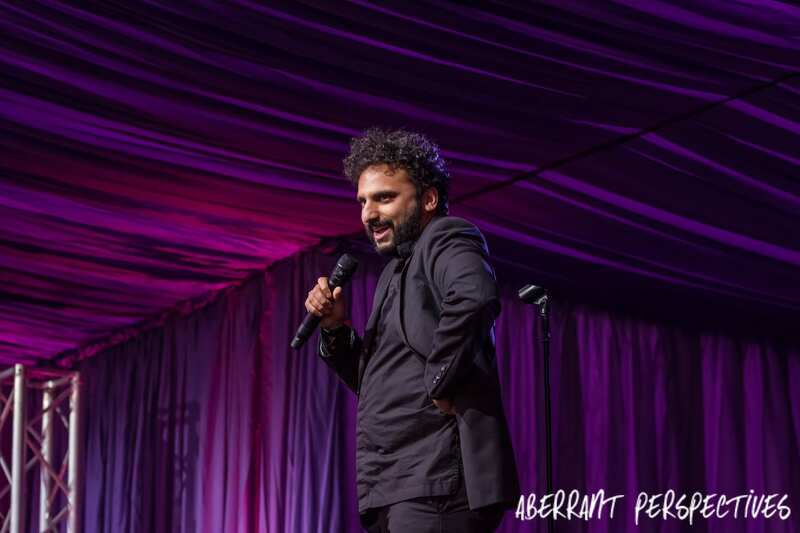 This years line up includes Nish, Sally Phillips, Bob Mortimer, Aisling Bea and Mark Watson. Nish is also presenting a new TV show, The Mash Report. A BBC2 show created by the team behind the parody website ‘The Daily Mash”. The Mash Report is a satirical, surreal news show. It promises to keep audiences informed about what’s been happening that week, additionally what has not been happening. Speaking about the show Nish said “It’s going to be a really fun show to do, it’s a very cool show. It starts July 20th BBC2 at 10pm and I’m really looking forward to it”. 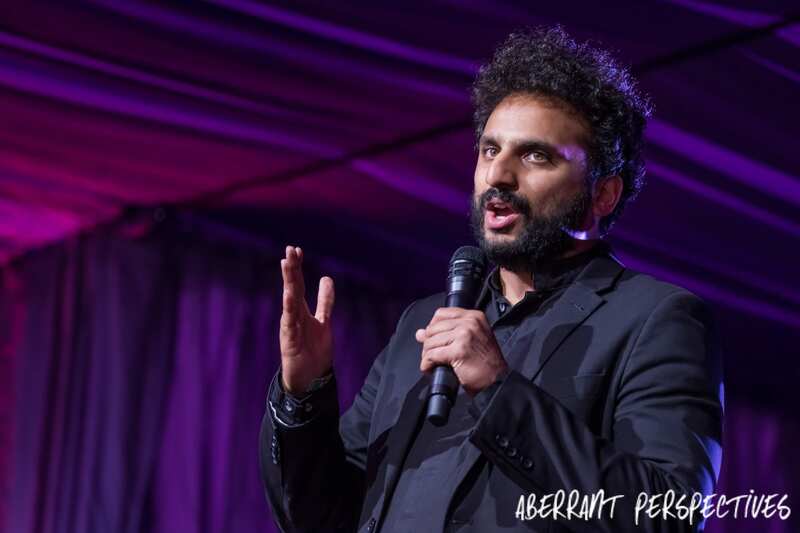 For more information about Nish Kumar, go to his website www.nishkumar.co.uk. You can also like him on Facebook and follow him on Twitter.